Everyone's reading their sunscreen labels more closely— something food allergy families have been doing for years. We all know allergens (and other unhealthy ingredients) sneak their way into more than just our food. Spokin has you covered from head to toe with our list of sunscreens that are both allergy-friendly and better for you, so you can play safe in the sun! Avid swimmers, surfers and water babies can depend on this sunscreen to keep them protected from harmful rays. Blue Lizard meets Australia’s rigorous water-resistant standards and our strict allergen-free ingredient standards. Need a reminder to reapply? This Smart Bottle turns blue in the presence of harmful UV rays - the deeper the blue, the more you need to cover up. This sunscreen is Supergoop!’s original champion. Its use of natural ingredients such as basil and citrus to create an oil-free and water-resistant formula have helped make it effective and sought after. It’s also perfect for both your face and body, combining two essential sunscreens into one versatile product. Even more exciting is that it’s free of the top eight food allergens, making it a great food allergy-conscious option. Allergen Statement: All of our formulas are gluten-free but we don't manufacture in gluten-free facilities. Although the risk of cross-contamination is low, anyone who is really sensitive needs to test the product before use. 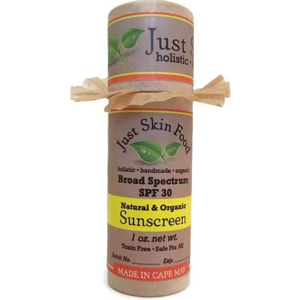 This all-natural lightweight and moisturizing sunscreen will protect your skin from harsh UVA and UVB rays with just five ingredients! The Clear Zinc formula is not only family and reef friendly, but it also rubs in completely clear, keeping your skin feeling good and looking good. 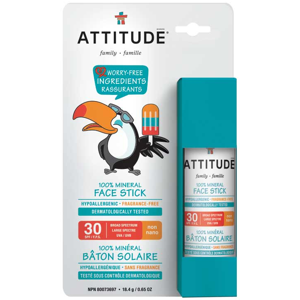 This environmentally friendly, water resistant formula is packed into a convenient stick sunscreen that is great for protection on the go. Not only can it be applied on infants, but you can also apply it underwater! Its certified natural and organic ingredients like sunflower oil and beeswax will continue to protect your skin even when you’re out of the sun. Raw Elements’ main mission is to protect skin in a way that is safe for both the users and the environment. Colorscience’s unique mineral powder face foundation packs a big punch. It’s great for all skin tones and works to reduce discoloration while preventing future damage. Labeled as an “all-powerful shield,” the Sunforgettable brush-on formula blocks the skin from UVA and UVB rays, harmful air pollution, blue light from screens, and infrared radiation. With a clear mission to provide the most effective products while steering clear of dairy, soy, gluten or high-allergy nut oils, Babo Botanicals is a food allergy-friendly shining star. 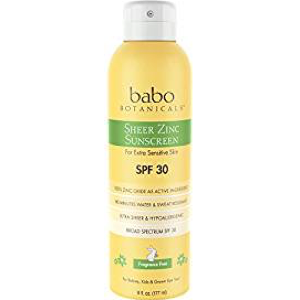 The first ever 100% Non-Nano Zinc Oxide sunscreen, Babo Botanicals’ SPF 30 Sheer Zinc Spray’s top-notch protection and easy application make it perfect for any member of the family. Its Certified Organic ingredients gently protect hyper-sensitive skin through up to 80 minutes of water and sweat. This sunscreen certainly knows how to get the job done and people have noticed. A member of the Safe Cosmetics Campaign Compact Thinkbaby is constantly trying to develop products that use the safest and most effective ingredients for all skin types; it’s perfect for not just babies, but also anyone with sensitive skin. This water resistant and non-greasy formula absorbs quickly and its ingredients do not contain six out of the top eight food allergens. Allergen Statement: While our products do not contain the top allergens plus sesame and mustard, our facility likely has them from time to time. We aren’t aware actually of a facility that doesn’t have these ingredients within their environment on occasion. Made to support an active lifestyle, this head-to-toe mineral zinc oxide sunscreen works as hard as you do. As it blocks UVA and UVB rays, it also nourishes you and your little’s skin without harsh parabens, artificial dyes, or synthetic fragrances. On top of that, Juice Beauty provides a description of every ingredient they use as well as a hefty list of potentially harmful ingredients that they refuse to include in their products, making them a brand you can trust. Founder Tricia Trimble is committed to preventing skin cancer with her mineral and all natural sunscreens. She wanted to create a product that would block from harsh UVA and UVB rays, contain non-toxic ingredients, all while remaining safe for her users and the environment. She even offers products that do not contain essential oils in case of irritation or allergy. California Baby has been widely recognized for their skin and environmentally conscious sunscreen. This water resistant, super sensitive mineral sunscreen’s formula is designed specifically with your family in mind. It uses a physical zinc oxide barrier to block UVA and UVB rays instead of chemicals like Octinoxate and Oxybenzone so that your little ones’ skin does not absorb toxic chemicals. The name of the brand says it all: this sunscreen is filled with pure “goodness.” With its ingredients not containing five out of the eight most common food allergens, this lotion uses natural and organic ingredients such as green tea and rose hips to nourish and soothe as it protects. All Good Sport is also water resistant for up to 80 minutes and blocks both UVA and UVB rays. On top of creating effective and environmentally conscious products, All Good donates 1% of all of their earnings to important environmental causes such as Save Our Snow and United Plant Savers. Your skin isn’t the only part of your body you have to protect from the sun. In the wise words of Sun Bum themselves, you have to “protect your kisser” too! This delicious banana flavored lip sunscreen works to block both UVA and UVB rays while moisturizing your lips the same way a regular lip balm would. Free of parabens, this lip balm and then some will keep your lips safe without added toxins. “Live Consciously” with this easy-to-apply broad spectrum sunscreen stick contains olive oil and other EWG (Environmental Working Group) Verified nourishing ingredients that maintain healthy skin while providing continuous protection. It is perfect for you and the littles of the family as it creates a mess-free way to defend against the Sun’s harsh rays. Goddess Garden’s founders understand what it means to raise a child with allergies. Early on, they noticed that their daughter was allergic to many of the ingredients in common soaps and lotions. Keeping this in mind, they decided to create a water resistant everyday sunscreen using only plant-based ingredients and minerals. Formulated without seven of the eight most common food allergens, this product (available in spray form as well!) not only blocks both UVA and UVB rays, but it’s also non-greasy and smells great, too! This lightweight daily moisturizer actively defends against both UVA and UVB rays with zinc oxide while working to strengthen the skin with ingredients such as green tea and special deep sea enzymes. In keeping with their mission to never use ingredients that could be harmful to the body’s immune system and overall well-being, Naturopathica tries not to include ingredients that contain known allergens. Ingredients do not contain seven out of the eight most common food allergens, this mineral sunscreen goes “beyond natural” by eliminating any ingredient that does not serve an important purpose. Designed with “nature-intelligent” ingredients meant to promote healing and self-care, Pratima’s Neem Rose Face Sunscreen both nourishes and protects the skin. This non-clogging formula defends against UVA, UVB, and UVC rays while stopping breakouts and working to prevent aged-looking skin. Every ingredient used is explained on the website so that you can feel completely in-the-know when it comes to your daily sunscreen. Josh, founder of Josh Rosebrook, believes that the best way to help the skin naturally heal and defend itself from the outside environment is to feed it with ingredients that come straight from nature. Rated five stars by over 75 customers, Nutrient Day Cream contains Certified Organic ingredients that work to reduce redness and prevent skin inflammation while protecting from UVA and UVB rays, which he calls the final phase in obtaining beautiful and healthy skin. Made by women of color, for women of color, Bolden aims to make the skincare world more inclusive and embolden their customers while using responsibly-sourced ingredients. Leaving out the majority of the most common food allergens and utilizing mainly Vitamin C, this sunscreen not only guards against the sun’s harsh rays, but it also brightens and corrects your face’s imperfections. This sunscreen is all about being able to protect anyone from the sun during any outdoor activity while avoiding the use of any potentially harmful ingredients. Using plant extracts to help hydrate the skin and activate its restorative qualities, this water-resistant formula is great for everyday use as well as sports and water adventures. It’s perfect for all ages, so get your family together and “GoBareOutside”! This face sunscreen is perfect for all skin types and ages. Dedicated to using only the best and safest ingredients, Aromatica is verified by the EWG (Environmental Working Group) and is an active partner of the Vegan Society. Their website provides multiple lists of the ingredients they use as well as ingredients that they deem to be toxic; they even have an article titled “Toxic beauty ingredients to avoid” so you know they’re using ingredients that you can trust. With just seven natural ingredients (only one of which that is classified as a top eight allergen), this mineral sunscreen will protect and nourish your skin without harsh toxins. The ingredients are simple and gentle enough to use on both your face and body, as well as on any member of your family. Because it does not include water or oil in the ingredients, you can get an even distribution of the sunscreen without any shaking or mixing! Promising to use ingredients that will benefit personal health and maintain safety and well-being while conserving the environment, MyChelle delivers with their Sun Shield. While defending against both UVA and UVB rays, this formula works to soothe skin and reduce redness on any skin type. Verified by the EWG (Environmental Working Group), this sunscreen's ingredients do not contain six of the eight most common food allergens and the website provides an extensive list of the ingredients included in each of the MyChelle products. Primarily using plant-based ingredients and without six of the eight most common food allergens, this sunscreen aims to hydrate and protect all skin types as it boosts the body’s natural defenses against the sun. Coola even explains what each of the main ingredients is used for in the formula and what benefits they have for your skin. Not to mention, their ingredients are all Farm to Face meaning they are locally sourced and organic! This 70% Organic Ingredients certified, mineral lip balm is a great option for going above and beyond with your sun protection. One of Coola’s Best Sellers, it uses fruit butters to naturally moisturize your lips as it blocks from UVA and UVB rays. An environmentally friendly product you can feel good about “putting on your pucker”. Safe to use on people with eczema and other sensitive skin conditions, the Aveeno Baby Continuous Protection sunscreen is gentle on even the most vulnerable skin. With up to 80 minutes of water resistance, it’s also great for a summer pool or beach day. As a 100% mineral sunscreen, it does not contain harsh chemicals like parabens and artificial dyes so that you’re only putting the most necessary ingredients onto your little one’s skin. Especially focused on using sustainable and organic botanical ingredients with healing and protective properties, Kypris’s Pot of Shade blocks both UVA and UVB rays with a plumping and luminous effect on the skin. This specific formula does not include essential oils in an attempt to reduce irritation for even the most sensitive skin types. Kypris also offers descriptions of their active ingredients that mainly explain how they benefit the skin so that even while you’re shaded, you're never left in the dark. Allergen Statement: Each of our beloved offerings is manufactured in a facility that processes all of our products, including those that have tree nuts. Therefore it is recommended to perform a 24-hour patch test with each of our offerings to ensure that it is suited for your skin. Each KYPRIS offerings a 100% vegan and gluten-free. Highly recommended by Spokin users, this convenient and water resistant sunscreen sprays onto your body with no aerosols, so you don’t need to sacrifice easy-application for your health. Kiss My Face is also big on staying open and honest about every part of their business. That’s why they provide a guide that explains each and every ingredient they use for all of their products. This sunscreen is a great option for somebody who may not want to use a mineral sunscreen, but who still cares about natural ingredients. 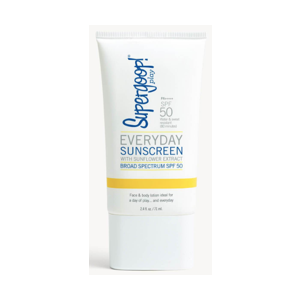 This all-ages sunscreen actually hydrates skin while protecting it from harmful UVA and UVB rays. Green tea and blood orange extracts give the sunscreen an antioxidant boost. Beautycounter has a "Never List" of more than 1,500 potentially harmful chemicals that are never used in their products, working to offer food allergen-safe options for the whole family. Drunk Elephant is all about clean, safe, and effective products with the most up-to-date and beneficial ingredients. They even provide a list of their “Suspicious 6” ingredients that they will never include in their products. They want everything they create to work amazing on any skin type, so they do not include potentially irritating essential oils or chemical screens.